Garage Door Jammin'? Time to Call Hamon! Call Now to Request Your Free Quote! 1966. That's when Hamon Overhead Door Co. Inc, founder Tom Triol brought a new level of garage and overhead door expertise, level of service, and innovative styles to Paso Robles. Our family business continues today with a vast product selection, expert service technicians, and constant innovation. We're recognized as the premier garage door dealer on the central coast for the installation, repair, and maintenance of residential, commercial, and industrial garage and overhead doors in San Luis Obispo and Santa Barbara counties. Our extensive experience in all aspects of overhead door repair and installation translates into fast, efficient, quality, and affordable work for our homeowner and business owner customers. 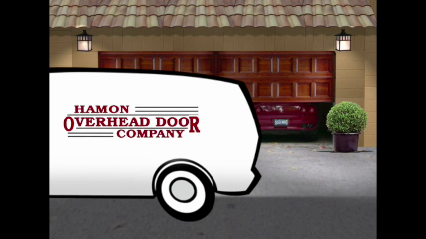 "Garage Door Tune Up / Preventative Maintenance Package"
Why Choose Hamon Overhead Door Co. Inc,? In the Paso Robles or Santa Maria area? Visit one of our product showrooms, speak to one of our field-experienced experts, receive great advice, and browse our extensive selection of garage and overhead door options. Not able to visit our showroom? No problem. Call us now at (805) 221-8422 and one of our overhead door experts will come to you for an in-home or on-site consultation. Liftmaster ProVantage Dealer - Liftmaster ProVantage Dealers are full service dealers recognized for premier sales and installation levels of LiftMaster products. Copyright © 2018 hamongaragedoors.com All rights reserved.